Publishers and advertisers have only themselves to blame for the revenue erosion caused by the rise of ad-blocking software. Now, it is up to them to solve the problem. That’s the bracing conclusion of a new white paper from the International News Media Association that is being released today. The paper was written by Johnny Ryan of Page Fair, an Irish company that advises publishers on how to respond to the easy-to-install programs that prevent ads from loading on web and mobile sites. The report is available here for purchase. As illustrated below, ad blocking has risen steadily in recent years to nearly 200 million consumers, representing some 6% of global Internet users. Taking note of the acceleration, Ryan urges publishers to band together to address the proliferation of intrusive advertising that has accompanied the growth of the Internet. 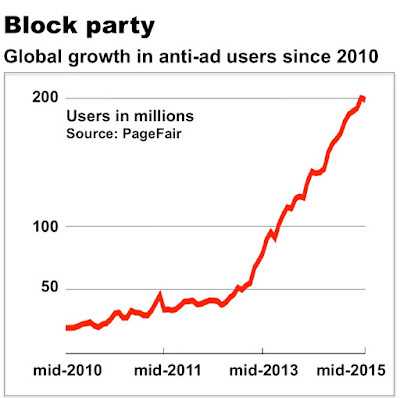 The impact of ad blocking falls unevenly on publishers, according to Ryan. While blocking has cannibalized between 25% and 60% of some of the gaming and video sites frequented by tech-savvy Millennial males, Ryan says the revenue loss at mainstream news sites averaged about 10% in 2015. 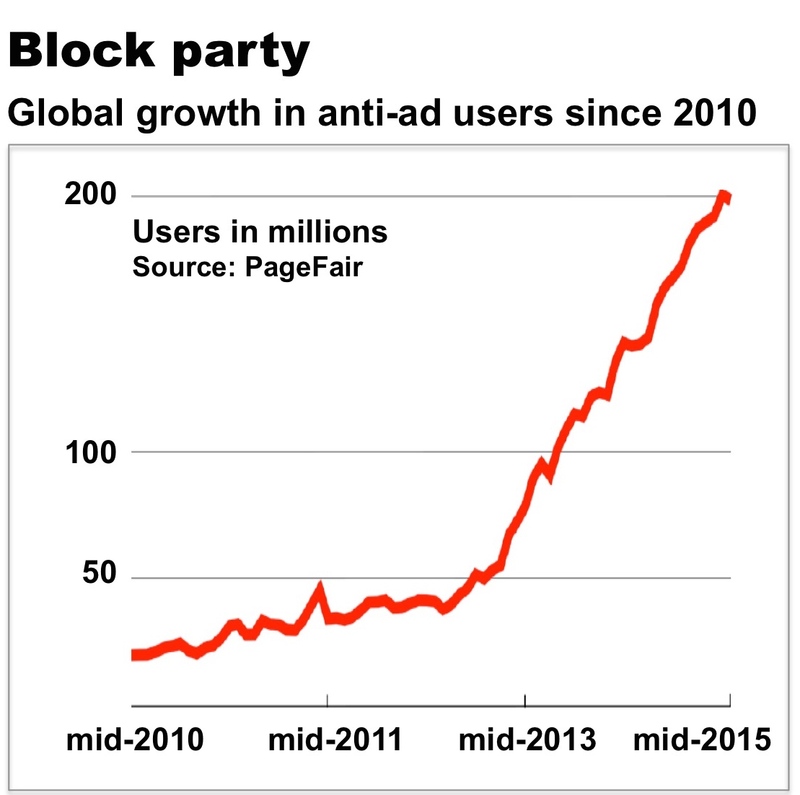 The appeal of ad blockers is undeniable: The programs and apps are easily acquired and often free of charge. Once installed, blockers speed page loading (as discussed here in this must-read piece by the New York Times), reduce page clutter and prevent marketers from surreptitiously gathering information about the user. Nevertheless, he says the problem remains a challenge for revenue-hungry publishers and endangers the open flow of information on the web. Arguing that it is impossible for publishers to win any sort of “cat and mouse” technology battle against ad-blocking companies, Ryan says publishers must take the lead in “setting the standard” for what he calls Advertising 2.0.